Project portfolio management is a set of business practices that brings the world of projects into tight integration with other business operations. It brings projects into harmony with the strategies, resources, and executive oversight of the enterprise and provides the structure and processes for project portfolio governance. I have never been one to jump on the bandwagon. Much to the contrary, I tend to resist and question new trends and fads, finding that many of them are only a flash in the pan—short on substance and practical use. However, when it comes to PPM, I eagerly join the stampede. 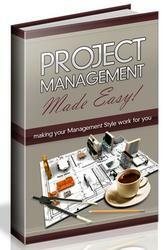 PPM is more than an expanded application of project management. The emergence of PPM as a recognized set of practices may be considered the biggest leap in project management technology since the development of Program Evaluation and Review Technique and Critical Path Method in the late 1950s. However, it is important to recognize that this newer technique goes way beyond the simple expansion of project management practices. PPM revolutionizes the way that we look at projects, the impact that projects have on the health of the business, and even the governance of projects.